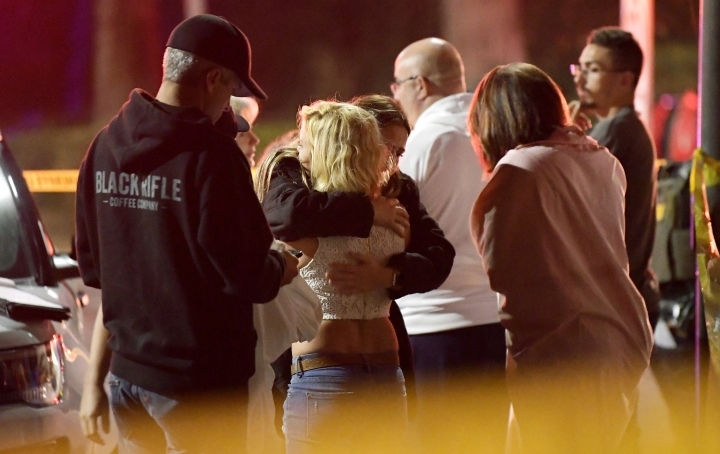 THOUSAND OAKS, Calif. — At first, the outlines of the mass shooter's 28 years appeared unremarkable. Ian David Long enlisted in the Marines out of high school and married at 19. Within five years, he was honorably discharged, divorced and in college. As the picture sharpened, troubling details emerged — the kinds of clues that, in hindsight, make people wonder out loud whether the impulse that led Long to kill 12 people at a country music bar had been forming in plain sight. Neighbors avoided him. He made them uncomfortable, and then there were the fits of aggressive yelling and property destruction at the home Long shared with his mom. One of his high school coaches says he scared her. Others who interacted with Long at different stops — high school classmates, Marines in his regiment, professors — struggled to recall much about him. Meanwhile, family who did know him and investigators who are learning his story aren't talking publicly. One thing that has leaked out: During the Nov. 7 massacre at the Borderline Bar & Grill, Long posted on social media about whether people would think he was insane. Authorities haven't settled on a theory of why Long opened fire, then killed himself. Reconstructing a motive may take weeks, or much longer. "We may never know what was in his head," said Tricia Benson, who grew up and still lives in the Los Angeles suburb of Thousand Oaks. "We may never know what that darkness was." Long's desire to join the Marines dated at least to high school. It was a life goal that helped rescue him from consequences when, a decade ago, Long allegedly assaulted a track coach. One day at practice, Dominique Colell was asking who owned a lost a cellphone. Long said it was his. When she didn't immediately hand it over, she said, he grabbed her rear and midsection. Another time, Long mimicked shooting her in the head. "I literally feared for myself around him," said Colell, who no longer coaches at Newbury Park High School. She wanted to kick Long off the team. Another coach argued the black mark could jeopardize his goal of joining the military. Long, a sprinter, was allowed to stay. Neither the school nor its district has responded to requests for comment. A third coach, Evie Cluke, recalled profanity-laced tirades that forced people to back away. "The warning signs were there," Cluke said. In a calm moment, she asked Long why he wanted to enlist. "When you hear somebody say they want to be in the military because they want to kill people in the name of our country, that's chilling," Cluke said. Long's family had a military pedigree. His grandfather was a Naval Academy graduate who served 30 years and retired with the rank of commander. Long enlisted a few months after high school graduation. It was 2008. Stationed in Hawaii, Long became a machine gunner. Two weeks before he returned from a seven-month deployment in Afghanistan in 2011, he legally separated from his wife of two years. 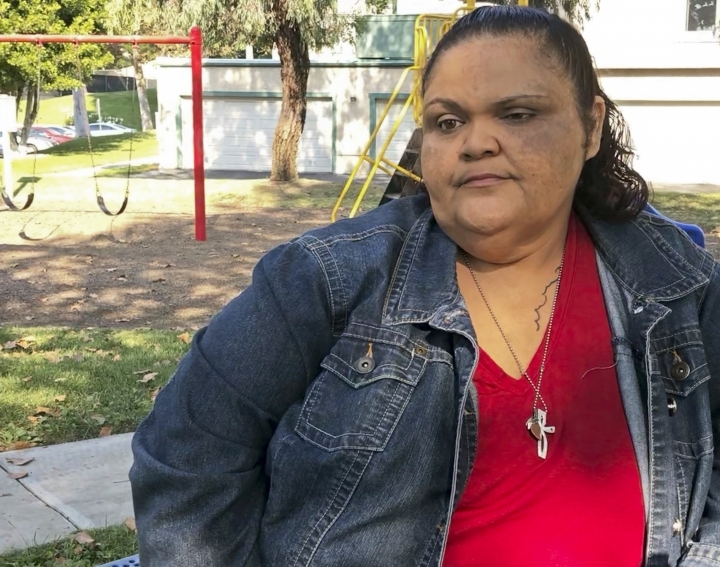 Authorities with the Ventura County Sheriff's Department have publicly speculated that, like many veterans, Long suffered from post-traumatic stress disorder. No such diagnosis has been confirmed. A spokeswoman for the Department of Veterans Affairs said Long wasn't enrolled in health care there. The theory that something fundamental about Long changed in the Marines does not persuade Thomas Burke, who served in Long's regiment and is now a pastor. Though the two did not know each other, Burke said he has spoken recently with their mutual friends. "Really what this was more about was his own loneliness and isolation," Burke said. Long left the service in 2013 and enrolled at California State University, Northridge. During three years at the school about a half-hour drive from Thousand Oaks, he took classes that lead to becoming a physical trainer or rehab specialist. Students in the school's physical therapy club did not recall Long. Campus police have no record of him. Professors said they have no helpful insights. "An unremarkable student in good standing," Konstantinos Vrongistinos, a professor in the Department of Kinesiology, wrote in email. For reasons that remain unclear, Long dropped out after three years. Around that time, his Facebook posts alienated at least one high school acquaintance. Raven Chavanne ran track with Long. She was turned off by his personality, but like many high school classmates, they were connected online. Chavanne said she unfriended Long around 2016 because she didn't like what he was writing — though she couldn't remember the details. "I was like, 'Who is this guy posting this? Oh, it's Ian,'" said Chavanne. What Long did over the past two years is largely a public mystery. In April, one particularly alarming uproar on the Longs' property prompted an intervention. "It sounded to me like the man was out of his head," said Tom Hanson, a next-door neighbor who called 911. Deputies summoned a mental health specialist, who interviewed Long. A 72-hour involuntary psychiatric commitment requires an "imminent" threat of harm, and the specialist concluded his behavior wasn't extreme enough. The standard can be tough to meet, said Marisa Randazzo, who has interviewed five mass shooters as the former chief research psychologist for the U.S. Secret Service. "We don't want laws that somebody can be taken in because of something they said over Thanksgiving dinner," she said. Hanson, the neighbor on a quiet block in a city often ranked as one of California's safest, said he sympathized with Long's mother. "I think she was all the time overwhelmed by this guy," Hanson said. "You never knew when he was going to go off." Pritchard reported from Los Angeles; contact him on Twitter at https://twitter.com/lalanewsman . Also contributing were Julie Watson in San Diego; Tami Abdollah in Washington; Audrey McAvoy, Jennifer Sinco Kelleher and Caleb Jones in Honolulu; Jennifer Farrar in New York; and Allen G. Breed in Raleigh, North Carolina.